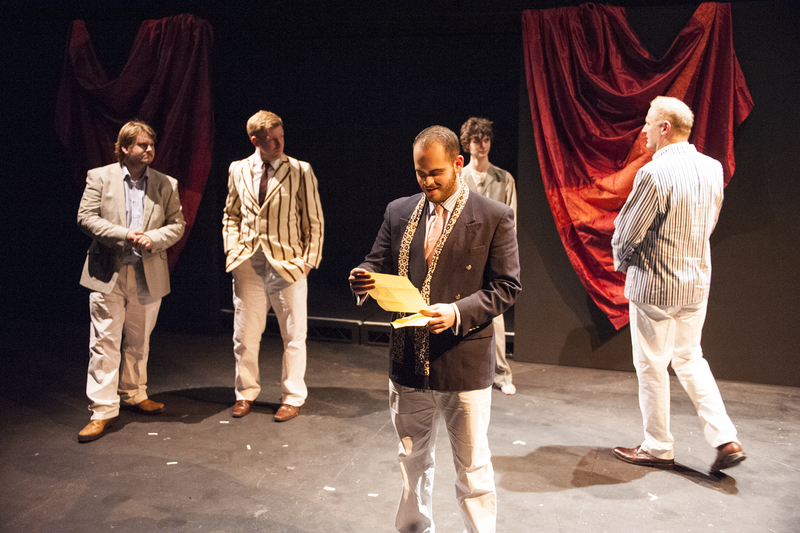 Come and join Chiswick's premier theatrical group! 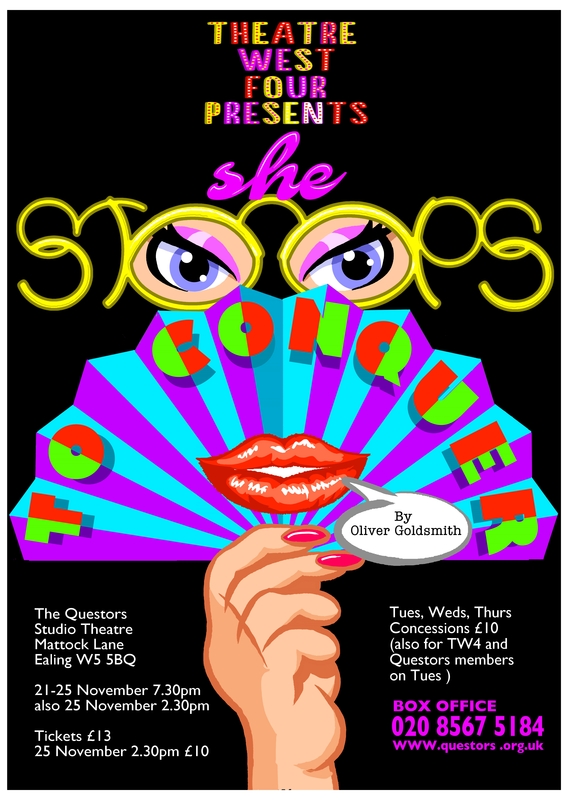 The play is directed by Tony Traxler and will show at Questors Studio Theatre, Ealing W5 on November 21 to 25. It will be an unusual and exciting production so put the dates in your diary now! This entry was posted in Events, News, Productions, Upcoming on September 14, 2017 by fredmauwer. Wealthy countryman Mr. Hardcastle arranges for his daughter Kate to meet Charles Marlow, the son of a rich Londoner, hoping the pair will marry. Unfortunately, Marlow prefers lower class women, finding them less intimidating than women of high society. On his first acquaintance with Kate, the latter realises she will have to pretend to be ‘common’ to get Marlow to woo her. Thus Kate ‘stoops to conquer’, by posing as a maid, hoping to put Marlow at his ease so he falls for her. 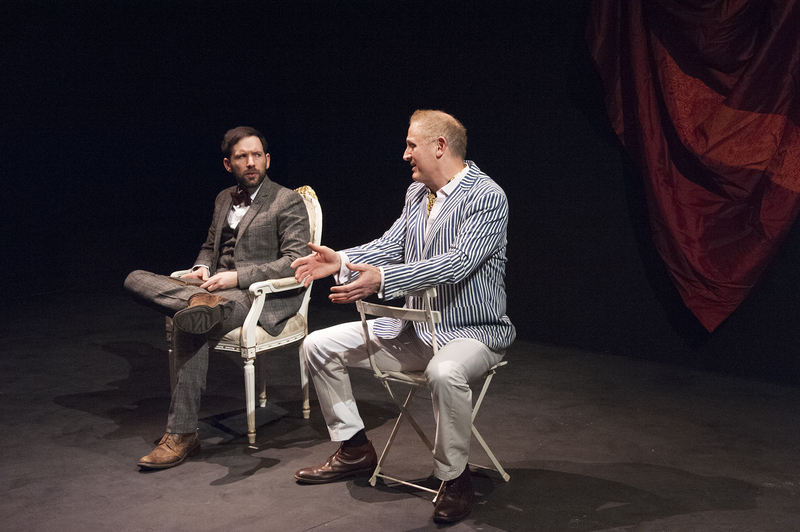 Marlow sets out for Mr. Hardcastle’s manor with a friend, George Hastings, an admirer of Miss Constance Neville, another young lady who lives with the Hardcastles. During the journey the two men get lost and stop at an alehouse, The Three Jolly Pigeons, for directions. Tony Lumpkin, Kate’s step-brother and Constance’s cousin, comes across the two strangers at the alehouse and, realising their identity, plays a practical joke by telling them that they are a long way from their destination and will have to stay overnight at an inn. The “inn” he directs them to is in fact the home of the Hardcastles. When they arrive, the Hardcastles, who have been expecting them, go out of their way to make them welcome. However, Marlow and Hastings, believing themselves in an inn, behave extremely disdainfully towards their hosts. Hardcastle bears their unwitting insults with forbearance, because of his friendship with Marlow’s father. Kate learns of her suitor’s shyness from Constance and a servant tells her about Tony’s trick. She decides to masquerade as a serving-maid (changing her accent and garb) to get to know him. Marlow falls in love with her and plans to elope with her but, because she appears of a lower class, acts in a somewhat bawdy manner around her. All misunderstandings are resolved by the end, thanks to an appearance by Sir Charles Marlow. The main sub-plot concerns the secret romance between Constance and Hastings. Constance needs her jewels, an inheritance, guarded by Tony’s mother, Mrs. Hardcastle, who wants Constance to marry her son, to keep the jewels in the family. Tony despises the thought of marrying Constance — he prefers a barmaid at the alehouse — and so agrees to steal the jewels from his mother’s safekeeping for Constance, so she can elope to France with Hastings. The play concludes with Kate’s plan succeeding: she and Marlow become engaged. 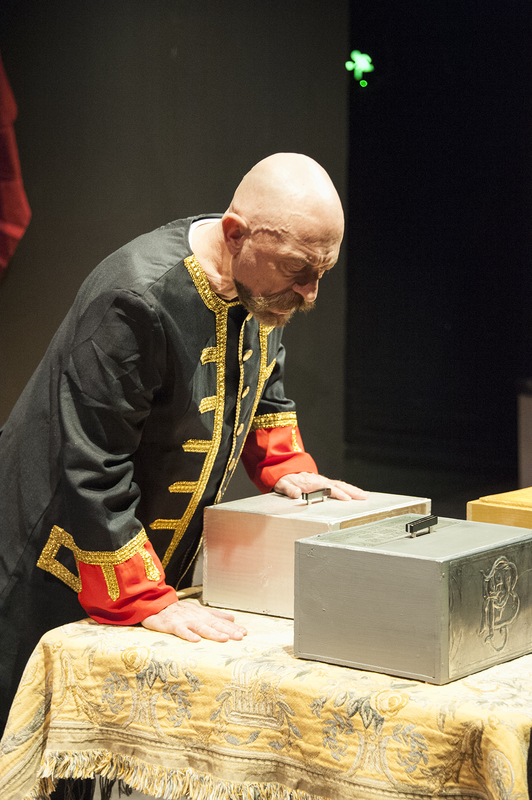 Tony discovers his mother has lied about his being “of age” and thus entitled to his inheritance. He refuses to marry Constance, who is then eligible to receive her jewels and become engaged to Hastings, which she does. 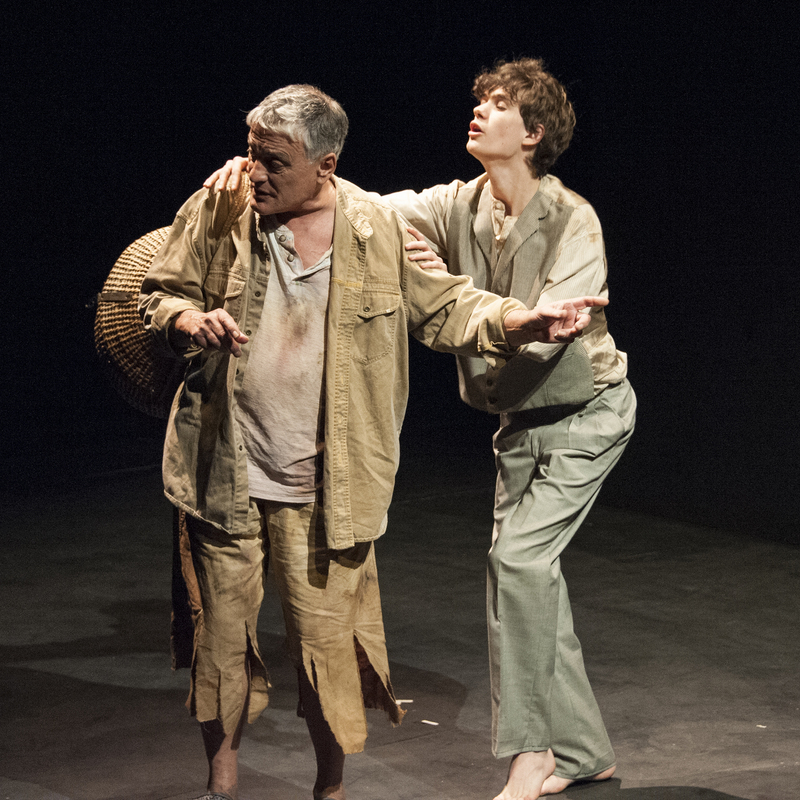 The play will be directed by Tony Traxler and is scheduled for performance 21 to 25 November at The Questors Studio Theatre. This entry was posted in Auditions, Events, Meetings, News, Productions, Upcoming on July 9, 2017 by fredmauwer. I can’t thank you enough for your wonderful donation. It is so very kind of you all to think of Age Concern Chiswick and to give us £300 of your hard won funds. I know only too well how difficult it is to raise funds today. So your generosity is magnificent. I have seen th excellent piece about us that you placed in the programme you produced for Separate Tables. It must have had a really positive influence on the audience as the collection box contained a tremendous £52.12. Very many thanks for your kindness in raising that additional amount. I can assure you that your donations will be put to good use at Age Concern Chiswick as we continue to offer activities to older people in Chiswick and Brentford. All our volunteers give their time freely and, as you know, we receive no government funds. We rely on our own fund raising initiatives and the support of donors. We are therefore really touched by the fantastic gesture of your friendship. 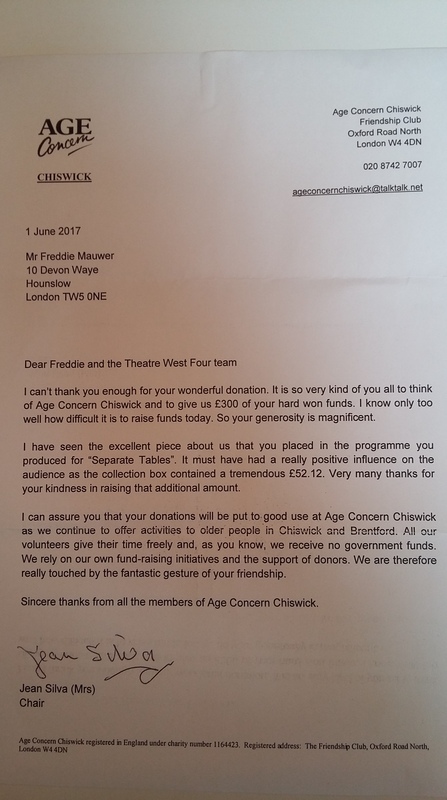 Sincere thanks from all the of Age Concern Chiswick. This entry was posted in Events, Meetings, News on June 26, 2017 by fredmauwer. 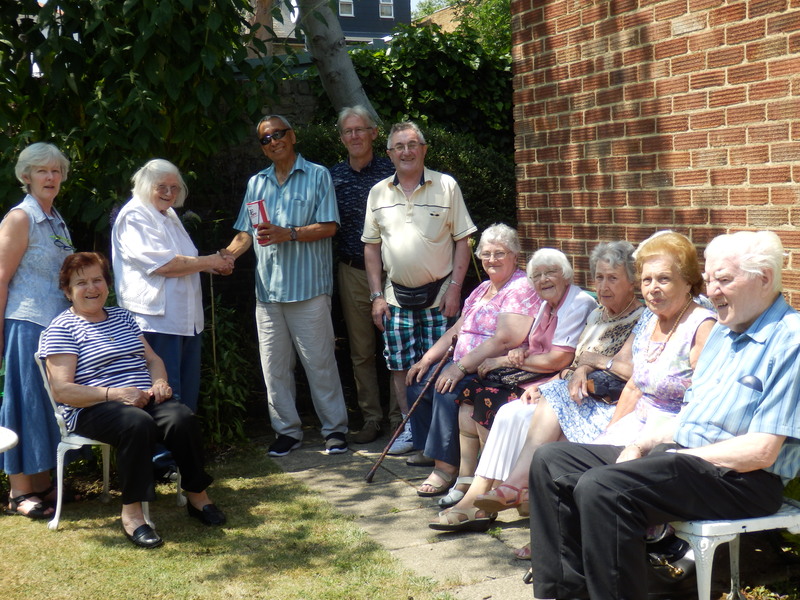 On a scorching and sunny June afternoon, Neil and myself visited Age Concern to present Jean Silva and Di Skingle and a few of their members, with the donation we pledged of the profit of our last show Separate Tables in May. We were able to present them with a cheque for £300 and also a collection tin which was held at our Front of House desk which resulted in a further £50. The team at Age Concern were delighted with the proceeds and most grateful. 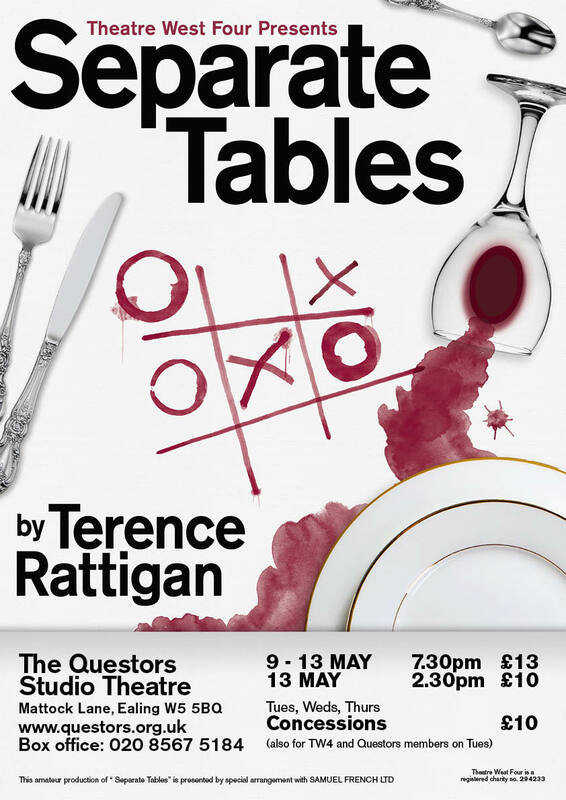 At the play reading last Thursday 12th January the Group decided to select Terence Rattigan’s ‘Separate Tables’ as our next production to be staged at the Questors Studio Theatre on May 9 – 13, 2017. Tony Traxler will be directing. A reading of the play has been scheduled for Thursday 2nd February at 7.30 pm at The Friendship Club, Age Concern Chiswick, Oxford Road North, W4 followed by open auditions on Thursday 9th February 7.30 pm and Sunday 12th February 2.00 pm at the same venue. For further information email info@theatrewestfour.co.uk or text 07860 448597. This entry was posted in Auditions, Events, Meetings, News, Productions, Upcoming on January 17, 2017 by fredmauwer. This entry was posted in Events, Past on January 17, 2017 by fredmauwer. Auditions for Blast From The Past 28 February/7 March 2019 performed on 14-18 May 2019 at Questors Studio Theatre - see current post for details. 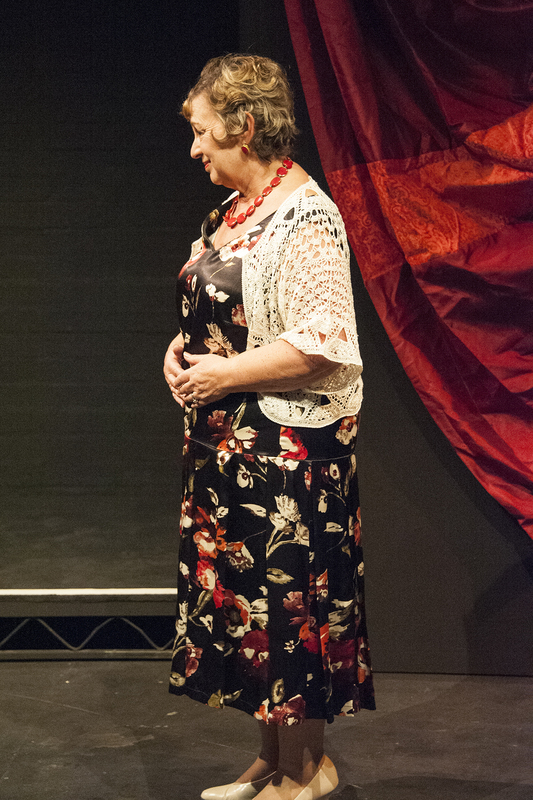 amdram.co.uk Find out what’s going on in the world of amdram – auditions, productions, etc. http://thechiswickcalendar.co.uk/ ‘The Chiswick Calendar, a website about Chiswick which has comprehensive listings of what’s going on in and around the area’. The Questors Theatre The Questors is the largest community theatre in Europe.